Your cruise departs throughout the day from the London Eye. 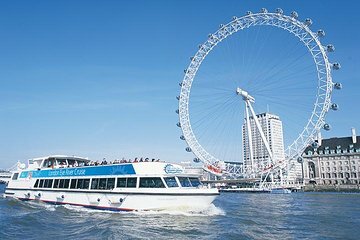 Make your way to the London Eye Pier and board the all-weather boat for a covered ride in winter, or a breezy ride on the open-air sundeck during the warmer months. 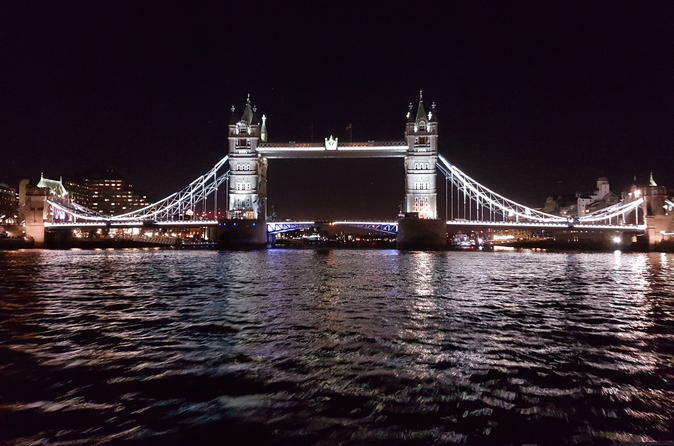 The virtual maps and onboard commentary point out well-known London attractions as you pass Westminster’s Houses of Parliament and Big Ben, followed by St. Paul’s Cathedral, Tower Bridge, and the formidable Tower of London. Also pass by the HMS Belfast, Shakespeare's Globe, Tate Modern, and the Millennium Bridge. After about 40 minutes, your cruise returns to the departure point at the London Eye Pier. From there, head to the boarding deck and enjoy a 30-minute ride in a large observation capsule. Marvel at panoramic views of London as the Ferris wheel hits its 135-meter (443-foot) peak.